Is it a fair trade if your hiking partner carries all your stuff when all you have to do is set up camp and make dinner? What if he listens patiently, occasionally munching on carrot sticks, while you unload about work, car payments, and your political opinions? “What do YOU think of this whole Mueller thing?” you ask, deciding you’ve been a selfish conversationalist. “Meh,” he responds, as if he really doesn’t have a horse in the race. And he doesn’t. It’s not that he’s Canadian or anything: he’s just a goat. And while you appreciate intellectual discourse, sometimes the balance between backcountry companionship and complete solitude can only be filled with the sounds of a small ruminant… well, ruminating the snacks he’s foraged throughout the day. 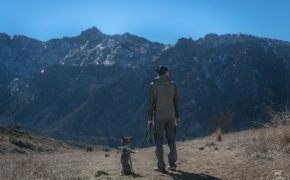 With all the advancements in lightweight gear, why would the recreational backpacker need (or want) four-legged assistance? Die-hard goat fans will tell you they don’t need a reason. Goats are the reason. They have a ton of personality. They’re clever. They’ll make you laugh. And for some, they were their inspiration to take up hiking… not the other way around. OK, you might want to tone down the goat-to-buddy comparison, especially since there are a lot of misconceptions about these critters. For example, your friends may have eaten more garbage (cans included) than any goat ever has, and they likely smelled much worse. Here’s how you might justify leaving Biff home, and bringing Billy along instead. 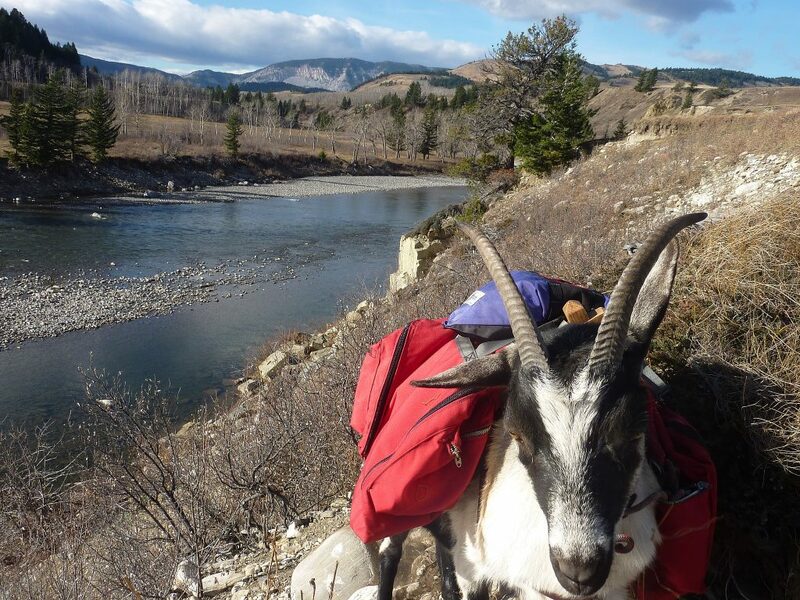 Hikers with medical challenges that might hinder their enjoyment of the outdoors—balance issues or inability to carry significant weight—can share the load with a pack goat. There’s the bonus of not having to tug at a lead rope, since trail-savvy goats are happy to follow along. “Taking your kids with you” would be a great double entendre if there wasn’t an appropriate age requirement for goats to begin a packing career, but you won’t have to wait until your children can hike unassisted all day long. If you’ve got a small child, you’ve probably invested in a baby carrier pack, but who’s going to haul your stuff? As a bonus, you’ll have more latitude in bringing along games, favorite snacks, and extra gear. Most parents can appreciate the value of a kid’s comfort items when their son or daughter gets cranky, and most parents (and aunties and uncles) can appreciate the extra space for a nice Mylar bag of pinot at the end of the day. Imagine you got into photography because you love the back country, but hauling all that equipment around can really limit your ability to reach those grand vistas. And your partner has had it with you sweet-talking them into ditching their own stuff to make room for extra lenses. 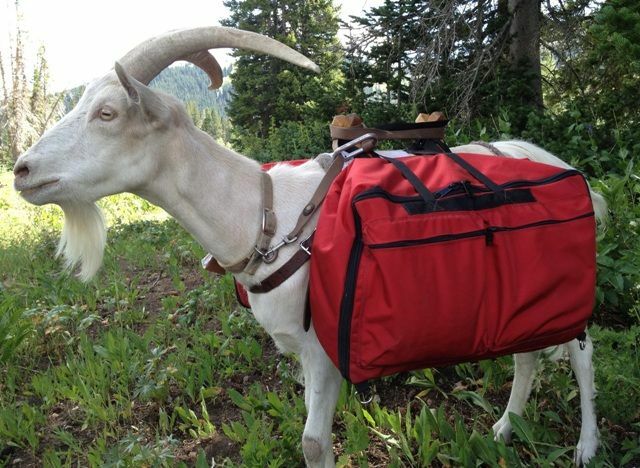 You might not want to pack your most valuable equipment on a goat, but you can save your relationship by stashing your personal gear—and that belonging to your significant other—in the animals’ panniers. Get the picture? These animals have the capacity to carry up to 50 pounds, allowing you to fully engage with the back country environment and spend more time out there. You can finally bring along everything you need for a pack rafting side excursion, or that over-the-top gourmet camp dinner. Goats aren’t as smelly as you think, and you don’t have to be, either; pack as much of your favorite outdoor clothing and gear as you want. As a Montana teenager, I’d spend at least two weeks every year in the Bob Marshall Wilderness with my family and our friends. We’d each have a saddle horse (or mule, in my case) and take turns leading our small string of pack horses. They’re hard work; you have to bring extra food, and there’s a lot of truth to that saying, “you can lead a horse to water.” If they decide not to drink at the one stream you encounter during the day, you’ve got to wait it out until they change their minds. Goats (and llamas, too) require less water than horses, donkeys, and mules, and can comfortably and safely go for a couple days without it. Llamas and equines need to be led by a rope while you’re traveling and hobbled or tied when you’ve stopped for a break or for the day. Goats follow along on their own, and stick around in camp. If you catch them eyeballing your new down sleeping bag, you have the option of staking them out nearby. Provided you let them browse for food for a total of four hours a day, including what they’ll grab on the go, you don’t need to reserve space for goat chow, but like all trail animals, they’ll need a good brushing and a quick foot checkup. Goats are literally low-impact animals. Their hooves don’t compact the soil as much as horses. They’ll nibble some grass and leaves here and there without decimating individual plants. Goat poop and deer poop pretty much looks the same to the untrained eye, but everyone knows what horse apples look like! “Maybe I can finally get that urban dairy goat if I can convince my partner it can double as a pack animal.” Not so fast: most pack goats are neutered males (called wethers). On the whole, wethers have the right temperament for packing. Intact males – known as bucks – can be aggressive to other goats and to people, and they’re the ones that do stink. Does aren’t completely off the table, but if they’re in milk, branches and bramble might injure their swollen udders They’re also usually smaller and not as strong as wethers. Goats are social animals, and while they love the company of humans, they need a bestie so you should keep at least two. Pack goats need to be in good condition, have the right build, and have the right training. 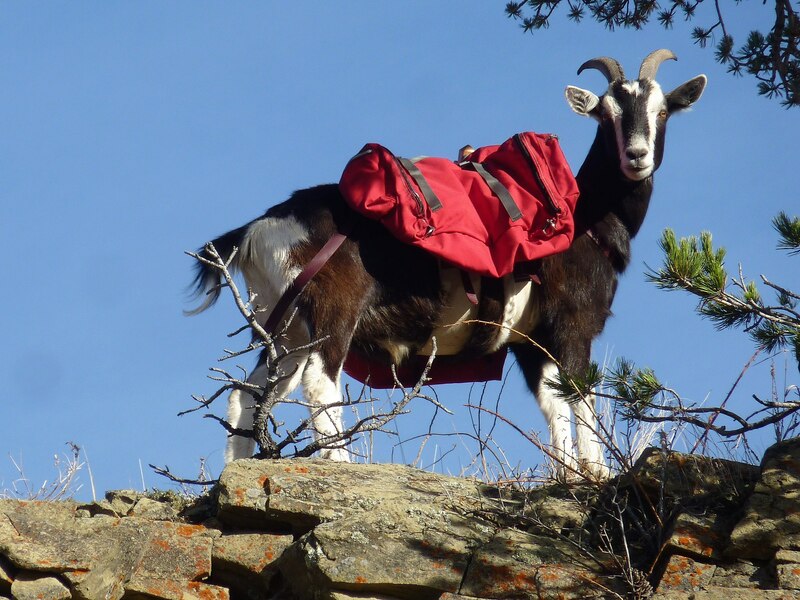 On top of all that, you need to purchase pack saddles, panniers, and all the supplies to keep your goat healthy and cared for. Too much? You’ve got an alternative: Rental goats! High Uinta Pack Goats: Two hours northeast of Salt Lake City in Evanston, Wyoming. Definitely check out this travel essay about a trip on Utah’s Highline Trail with guide Clay Zimmerman… especially if you want an idea of what it’s like to bring your four-year-old on the journey. Packgoats.com: Operated by hunting guide Marc Warnke in Boise, Idaho, this site has fantastic information about all aspects of goat packing and husbandry. Pack Goat Central: Want to get in touch with individual pack goat owners? 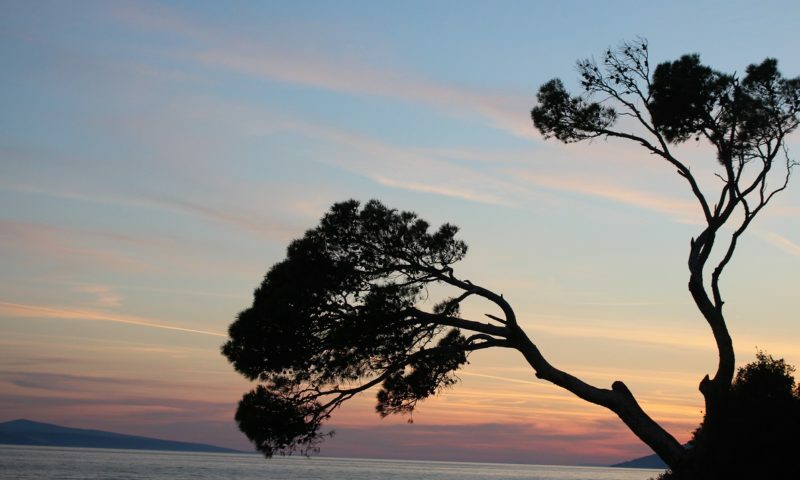 Do you want some tips on picking your next trip? This is a friendly and active forum with a ton of information. North American Packgoat Association: This alliance advocates for access to public lands, while working with land management agencies to protect backcountry ecosystems. You have to join to gain access to their membership page, but their Facebook group is public. If, after some reading up, you decide to invite a few goats on your next hike, plan to spend about half a day to learn the basics of caring for your new trail companions. 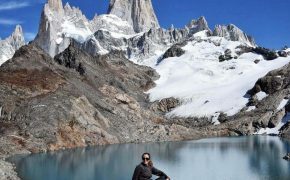 Some outfitters charge for this mandatory orientation for first-time customers, but the time (and money) spent is worth it. As for Biff, bring him along too. Goats can’t get help if you have an accident in the wilderness, and that Dutch oven cobbler isn’t going to bake itself. Featured image from Wikimedia Commons. © Creative Commons 2014.